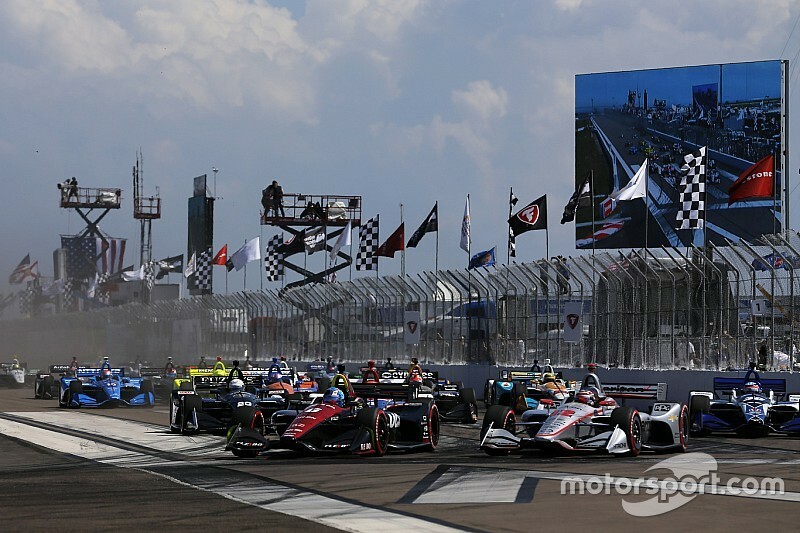 David Malsher assesses the prospects for IndyCar’s full-time teams and drivers, as well as those expected to make multiple race entries – and the confirmed Indy 500 ‘one-offs’ – ahead of this weekend's season-opener in St. Petersburg. 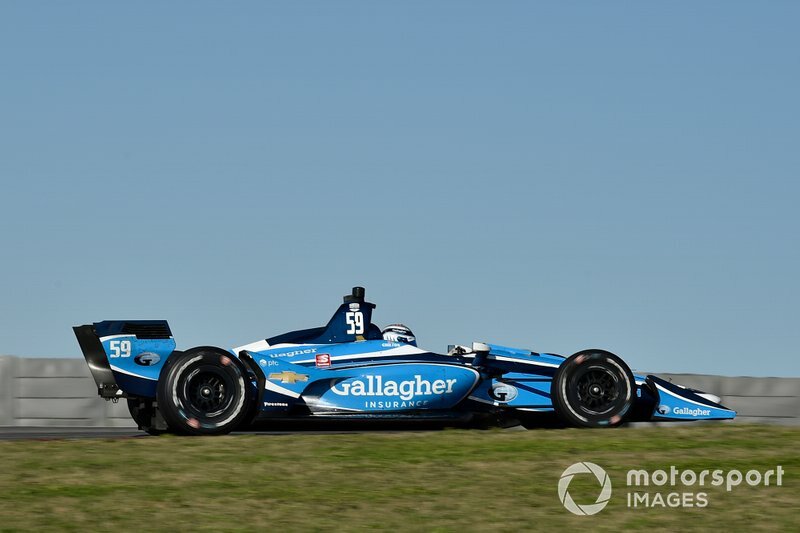 Dixon and Ganassi have proven themselves able to turn seasons around, turn race weekends around, and salvage strong results from negative situations on race days. Late last year they modified their road course setups and Scott adjusted his driving style to suit… so the #9 may come into this season even stronger than it left its fifth title-winning season. That’s ominous for the opposition. Felix Rosenqvist is a brilliant addition to the team, having shone in every other category in which he’s previously raced – and there are a great many of those. Very strong pace in preseason testing suggests he’ll be able to help Dixon drive the team forward, although he has much to prove on ovals. Still, he’s a fast learner and highly adaptable. With five wins between them in 2018, expect both Rossi and Hunter-Reay to be in with a shot at the title. Rossi has now proven he’s got the all-’round game to tackle the might of Ganassi and Penske drivers, and combines it with a supremely aggressive approach to passing. 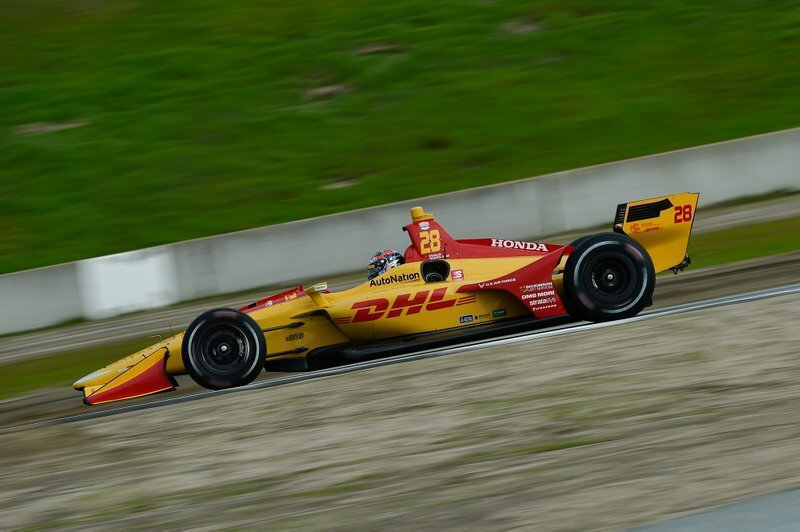 Hunter-Reay’s pace hasn’t diminished one iota in his 200-plus races and on his best days he’s unbeatable, but eliminating errors and avoiding awful luck are essential for a strong championship challenge. 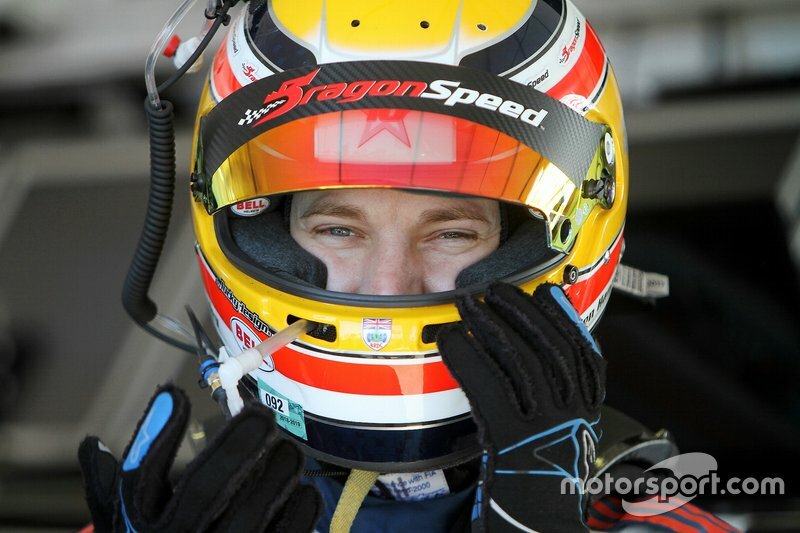 Marco Andretti has to regain his confidence with an inherently loose car – this one does at least feed his craving for ‘feel’ – and a new race engineer may help. Veach, in only his second year, just needs to keep doing what he’s been doing – building up experience and confidence. A podium finish or two should be possible. Not much to criticize in this fulltime lineup of series champions, all of whom concur that Penske engineering staff have now made a much-needed breakthrough in terms of street course setups with the current aerokit. Power needs to tame those moments when his reach exceeds his grasp, although that ambition is also what drives him to produce moments of magic, particularly in qualifying. Newgarden, too, needs to improve his consistency, occasionally reining in his wonderful combative streak but, like Power, is a victory contender on every track. Pagenaud slumped in 2018, struggling to build confidence in the tail-happy new cars when driven to the edge in qualifying, but both testing and his performance throughout last year’s finale at Sonoma suggest he could be back to his best. Perhaps surprisingly, it may be Chevrolet that blunts the team’s championship challenge, having suffered reliability woes in 2018, and also falling short of Honda’s torque and fuel mileage. 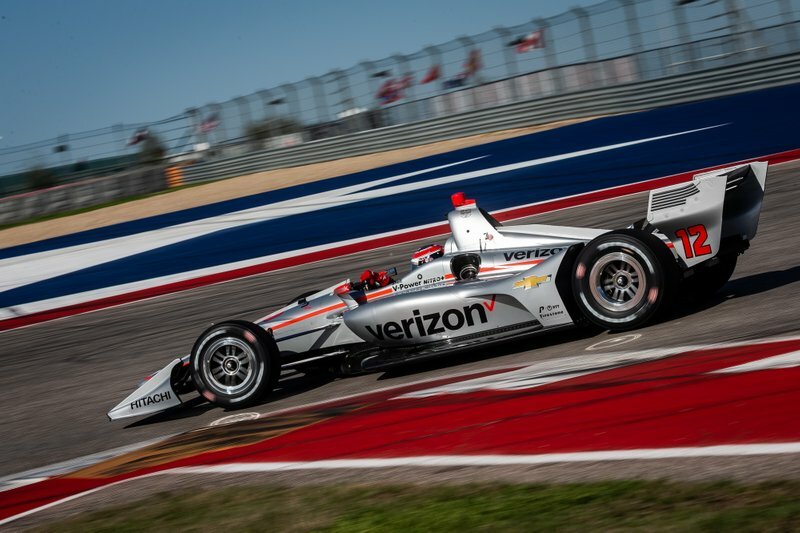 However, with a strong top end, it should put Penske at the forefront at Indianapolis Motor Speedway, where Castroneves will surely be a front runner as he goes for his fourth Indy 500 victory. Yes, the team is going to miss Robert Wickens’ presence in the cockpit this year but Arrow Electronics’ large increase in investment in the team should still reap dividends. As in 2018, the Sam Schmidt/Ric Peterson-owned team has the potential to be the most consistent thorn in the side of the ‘Big Three’ – although the team’s ambitions reach still higher. 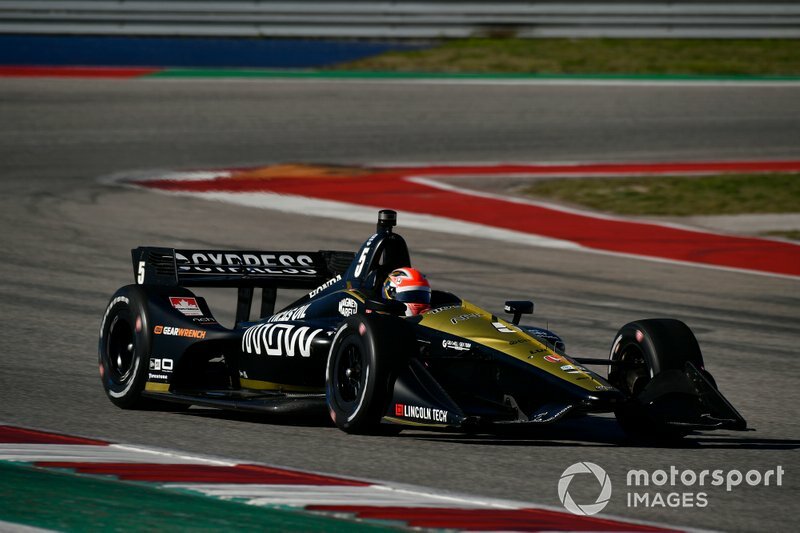 Hinchcliffe remains a strong and aggressive fighter on racedays, even if it sometimes takes him a while to find a setup that both suits his driving style and allows him to manage his tires. When he’s in the zone, his confidence builds and then you just can’t count him out. Ericsson, a veteran of almost 100 Formula 1 races, has applied his very studious nature to the task of learning IndyCars in a short time frame, and the Laguna Seca and COTA tests suggest that has paid off. Whether he immediately has the confidence of a Wickens (or Hinchcliffe for that matter) and takes it to the edge in his first qualifying run or race, is more open to question, but that’s fine. The best thing Ericsson can do is approach this new career chapter in whatever manner comes naturally, because Sam isn’t a big fan of drivers who are fast but crash frequently. RLLR slipped a little in 2018, no question about it, and Sato’s victory at Portland was a reward for persistence and good strategy rather than outright pace. However, with Piers Phillips coming in as team president and Allen McDonald becoming Rahal’s race engineer, the future looks promising, because there was already a serious amount of experience and talent in the staff lineup here. 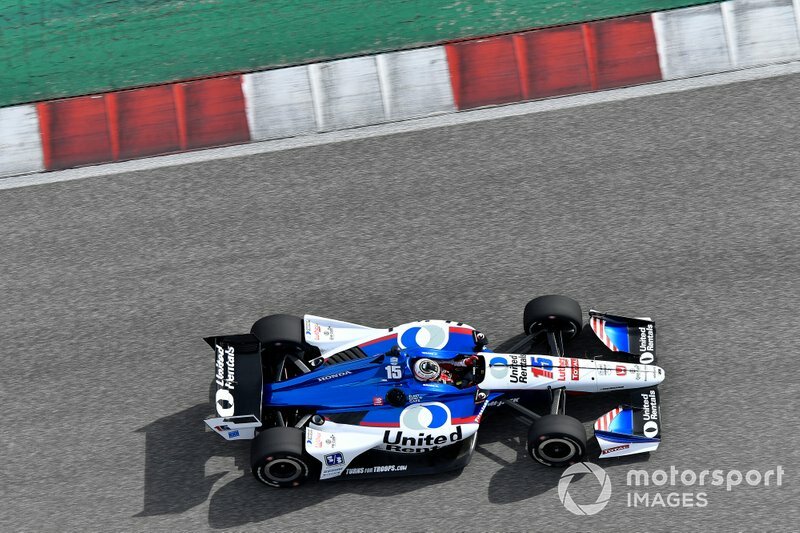 Following a mediocre showing in the imperfect conditions at Laguna Seca, the team – in particular Rahal – looked impressive at COTA, the rear end of his car appearing far more secure than before. Sato is better at driving a loose car than his young teammate, but that’s rarely the fastest way, so if the team has made progress as a whole, expect to see Graham in front of Taku more often than not. Pigot is one of those drivers that you know will bloom once he has the self-confidence from nailing his first win. As he and the ECR team got to grips with the new car last year, he looked increasingly adept at making opportunistic passes and keeping them clean. But he’s going to have to make it to his personal peak on his own, while he doesn’t have an established ace teammate on the road and street courses. Jones did have that for both his seasons so far in IndyCar – Sebastien Bourdais in Year 1, Scott Dixon in Year 2 – but certainly the latter experience at Ganassi left him bruised. However, it should take only a couple of strong races with ECR to see him back to his best and he should be strong in the Scuderia Corsa #64 entry at Indy. Carpenter himself was as close as he’s ever been to winning Indy last year, although his performance at other ovals on the schedule has tended to fluctuate in recent years. It’s puzzling, for example, that the three-time Indy 500 polesitter has never looked close to winning at Pocono. But the fire’s still lit, and Carpenter deserves a great deal of respect as the series’ only owner/driver. Dale Coyne’s ability to make wine out of water is well known, and now that he has an established driving ace, a strong engineering team, and a top-notch primary sponsor in Sealmaster, it’s become no surprise to see DCR fighting for podium finishes and top fives on a regular basis. The chances are strong of Bourdais adding to the team’s six-win tally this year, although it’s important that his odds are improved by the team figuring out a strong street course setup that works with his driving style. Ferrucci is an interesting addition, not only because he now seems committed to IndyCar, but also because it will be fascinating to see whether he can fulfill his potential in a team somewhat centered around a four-time champ. Will Ferrucci be overshadowed or can he learn from a driver whose driving style is very different from his own? 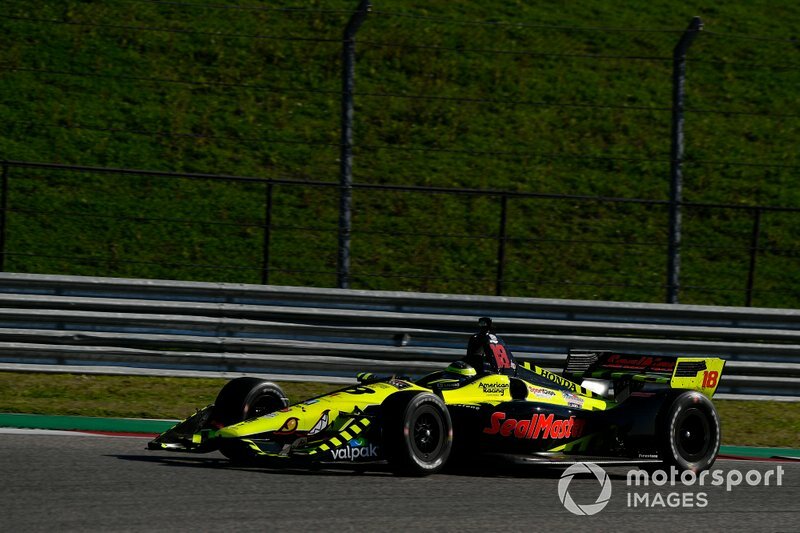 Last year the team struggled almost everywhere except Indianapolis Motor Speedway, where Tony Kanaan and Matheus Leist qualified easily on the second day, 10th and 11th. Kanaan, the 2013 Indy 500 winner, then went on to lead the race for 19 laps, and until suffering a puncture, he looked set for a top-three finish. However, while he was clawing his way forward again, he crashed out. 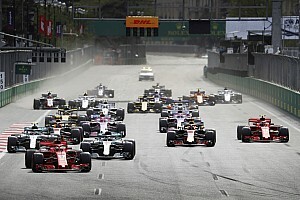 And to be honest, that performance, a sixth place finish in Toronto and Leist’s third place on the grid at St. Petersburg were the only obvious glimmers of hope in the team’s entire 2018 season. Ex-Ganassi team manager Scott Harner has joined to try and help team president Larry Foyt sort the disarray, but the team’s climb back to respectability will be tough. Trevor Carlin’s squad showed flashes of promise throughout its rookie campaign, improving rapidly in the first half of the season, more gradually through the second. Kimball scored the team’s best result with fifth at Toronto, and it’s sad that reduced funding has forced him to slash his commitment from fulltime to the superspeedways plus the season-opener and -closer. Chilton shone to reach the Firestone Fast Six at Mid-Ohio last year, and delivered some other decent performances on road courses and also on the streets of Detroit. 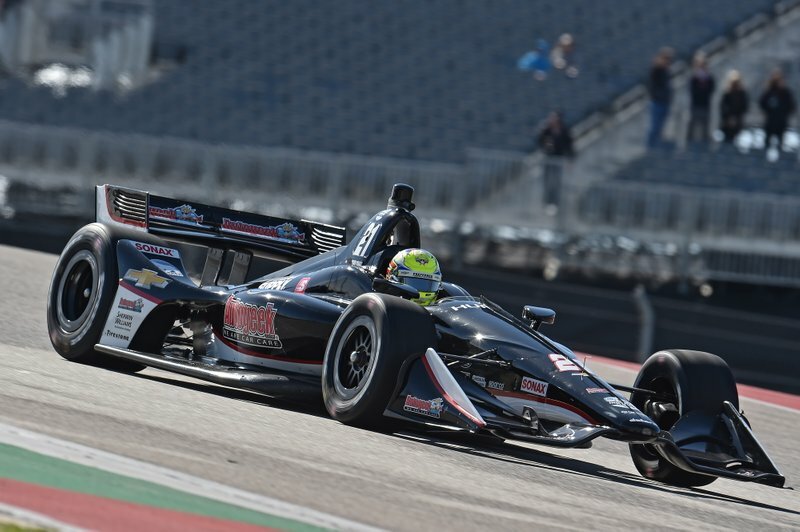 RC Enerson, despite more than two years away from IndyCar racing, has looked strong in testing but still it’s going to be hard for effectively a rookie – a part-time one at that – in a sophomore team to make a huge impression. 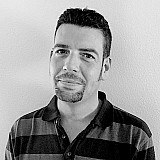 Carlin’s technical partnership with McLaren and Fernando Alonso in the Indy 500 should aid all parties and will make some other team owners jealous… But another envy-inducing coup will be if Trevor manages to pluck Indy Lights champ Patricio O’Ward from the subs bench for several races in the #23 car. Two-time Indy Lights championship runner-up Harvey has had a steady if unspectacular start to his IndyCar career, but how could it be different? With three races one year, six races the next, it’s hard for the former British F3 champion to even compare himself to his semi-teammates at Schmidt Peterson, let alone a Dixon, Power or Rossi. Still, the promise of 10 starts and the faithful backing of Sirius XM and AutoNation should result in a more consistent campaign, and will hopefully lead to the sort of results that convince Shank’s backers to step up and go fulltime. 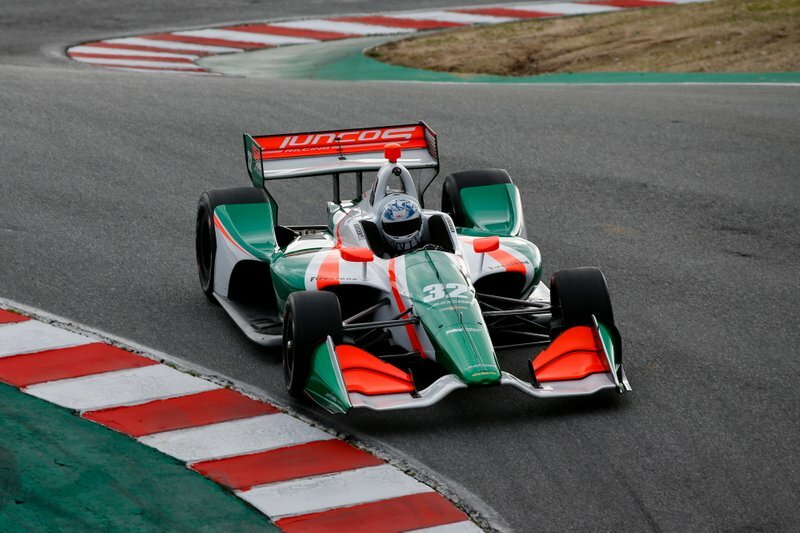 Junior open-wheel star team Juncos Racing dipped its toe in the IndyCar waters at Indy in 2017, and then entered 12 races last year… alas only four of them with its 2017 Indy Lights champion Kyle Kaiser. 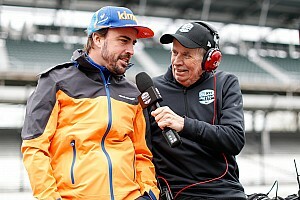 The team’s IndyCar campaign in 2019 has yet to be determined, beyond confirming that Kaiser will race for the team at Circuit of The Americas. 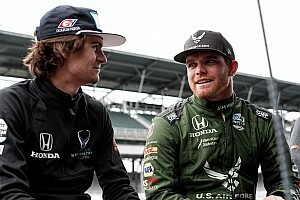 Until both team and driver get several more IndyCar races under their wheels, it’s hard to judge the ultimate potential of either, even though it’s worth noting that together they qualified halfway up the grid for last year’s Indy 500. 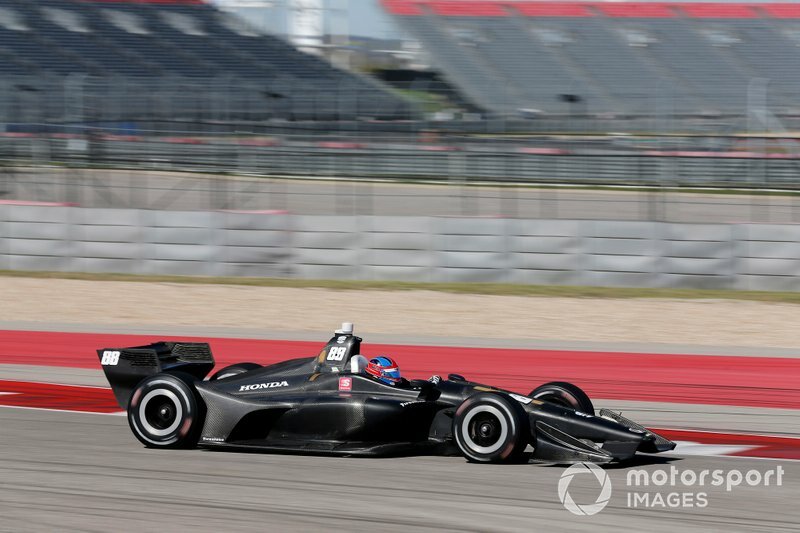 If young Herta’s pace at the COTA test was real – and two senior folks from Andretti Autosport, with whom Harding Steinbrenner Racing has a technical partnership, say the HSR car was definitely fully legal on the second day – then the rest of the IndyCar paddock and in particular the Andretti drivers are going to get shown up by a rookie in a sophomore team… Yeah, OK, so there’s a lot more to race results than some hot laps in testing. But still, Herta and HSR have shown immense promise, and given their access to AA’s data, this is effectively a satellite team, and therefore unencumbered by the traditional constraints expected of a singleton entry piloted by a newcomer. This team could be one of the stories of the year. It’s excellent to see Elton Julian’s well respected team (and driver Ben Hanley) join the IndyCar fray after years of endeavor in GTs and sportscars – the latter made frustrating by running an LMP1 machine against works teams with hybrid cars. DragonSpeed’s IndyCar only hit the track in the last couple of days at Sebring, so don’t expect miracles at St. Petersburg despite Hanley’s talent and maturity. 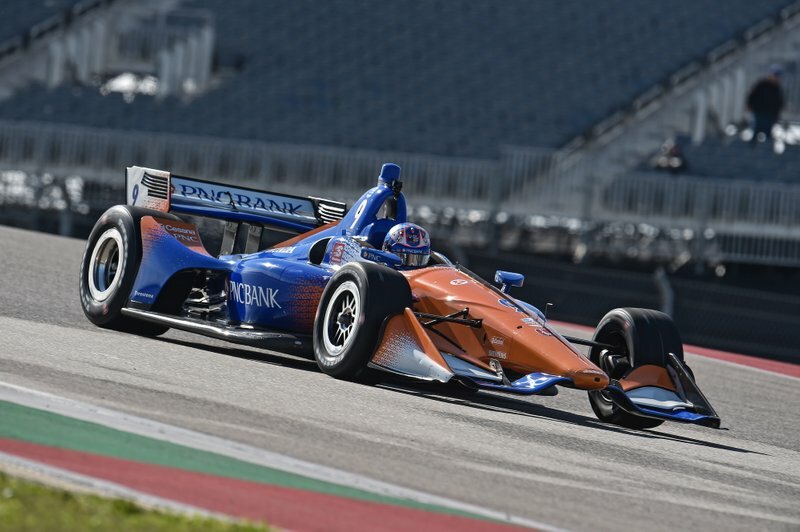 But as a part-time experiment, Julian’s choice of tracks is smart – St. Pete, Barber, Indy 500, Road America, Mid-Ohio – and it’s good to hear that IndyCar has made considerable efforts to entice the squad to the series. 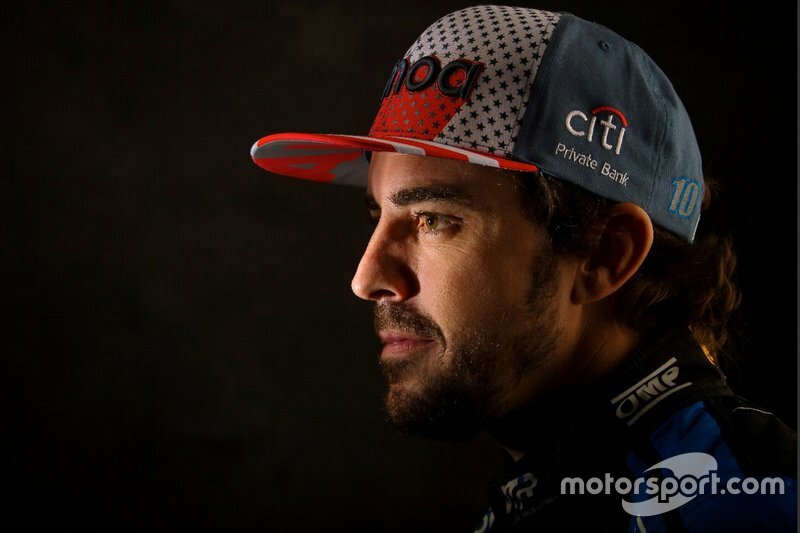 Fernando Alonso (McLaren-Chevrolet) – Expect good things from a combination of Alonso in a John Cummiskey-prepared/McLaren-run entry sharing technical data with Carlin and powered by what should still be the best engine for a superspeedway. But how good is ‘good’? Is Alonso a potential winner again? Frankly, it seems less likely than when racing with Andretti Autosport in 2017 because the Indy 500 is such a demanding event for what is effectively a start-up team, despite race engineer Andy Brown’s vast experience at the Speedway. But Dan Wheldon and Bryan Herta Autosport defied the odds in 2011, so victory is improbable rather than impossible. 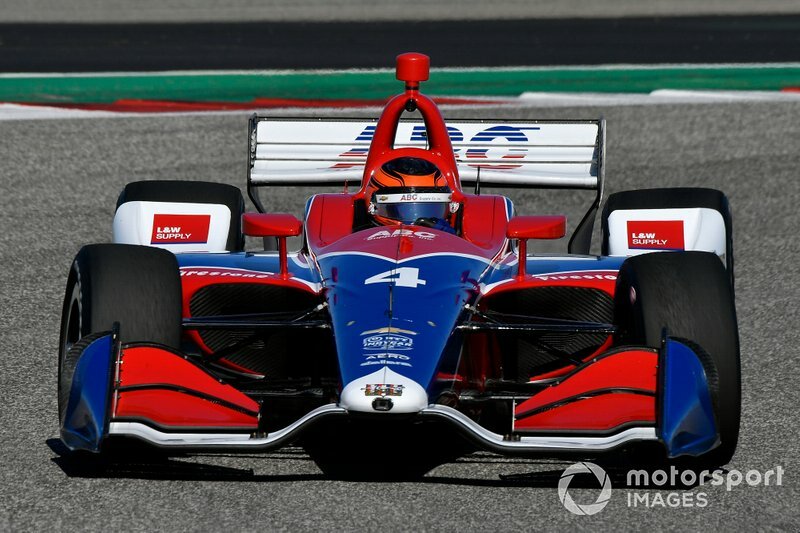 Conor Daly (Andretti Autosport-Honda) – Daly has somewhat unfairly been tagged as a road-course specialist while in IndyCar, despite looking no less competent on left-turn-only tracks. He did, for example, finish seventh at Texas and fifth at Gateway in 2016. Sure, Indy is a different story, but he handled a difficult car with aplomb there in qualifying last year and kept it off the walls on raceday. This will be Daly’s sixth attempt at IMS and he’ll now have access to data from a multiple Indy-winning team and Indy-winning drivers. The US Air Force car could fly this year. Jordan King (Rahal Letterman Lanigan Racing-Honda) – The 2013 British F3 champion was Ed Carpenter’s road/street course ringer in 2018 so he has yet to make a start on an oval. And since this is scheduled to be only a one-off return to the series for King – he’s been testing F2 cars lately and will race for Jota in WEC – he may find it tough going. But the Brit learned IndyCar well last year, even if the results didn’t show it, so he may well prove adept at IMS – and RLLR has often shone at Indy. 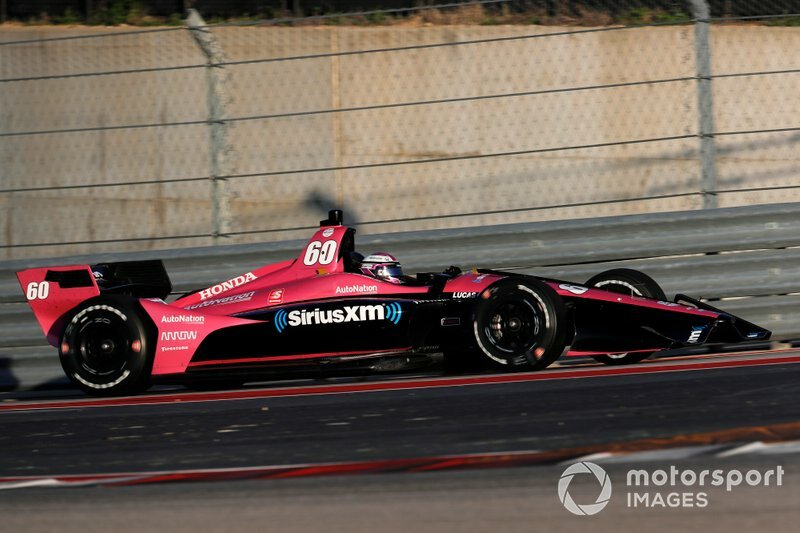 Pippa Mann (Clauson Marshall Racing-Chevrolet) – Mann may have a DNQ on her Indy 500 record but hey, so do Al Unser Jr., Emerson Fittipaldi, Bobby Rahal and James Hinchcliffe. The important point is that she was determined to not let last year’s failure be the seventh and last time she took a stab at Indy. The tie-up with IndyCar debutant outfit and USAC National sprintcar championship team, formerly Bryan Clauson Racing, is an emotional one, since Mann was teammate to - and became friends with - the late Clauson. Even aside from all that, the Driven2SaveLives campaign for organ and tissue donation is enough to warrant a cheer for Mann and CMR in May.